The text and content display created by designers, publishers and web developers can cause problems for children and adults with dyslexia. 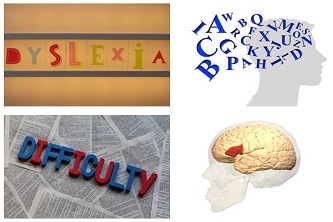 The British Dyslexia Association (BDA) has released an update (16 May 2018) to the BDA Style Guide which addresses these problems. The update incorporates new principles which have been developed following research into how word, letter and line spacing can improve readability. Use sans serif fonts, such as Arial and Comic Sans, as letters can appear less crowded. Alternatives include Verdana, Tahoma, Century Gothic, Trebuchet, Calibri, Open Sans. Font size should be 12-14 point or equivalent (e.g. 1-1.2em / 16-19 px). Some dyslexic readers may request a larger font. For headings, use a font size that is at least 20% larger than the normal text. If further emphasis is required, then use bold. Use single colour backgrounds. Avoid background patterns or pictures and distracting surrounds. Use sufficient contrast levels between background and text. Left align text, without justification. Avoid multiple columns (as used in newspapers). Use images to support text. Flow charts are ideal for explaining procedures. Consider using bullet points and numbering rather than continuous prose. For further details on the BDA Style Guide click here.